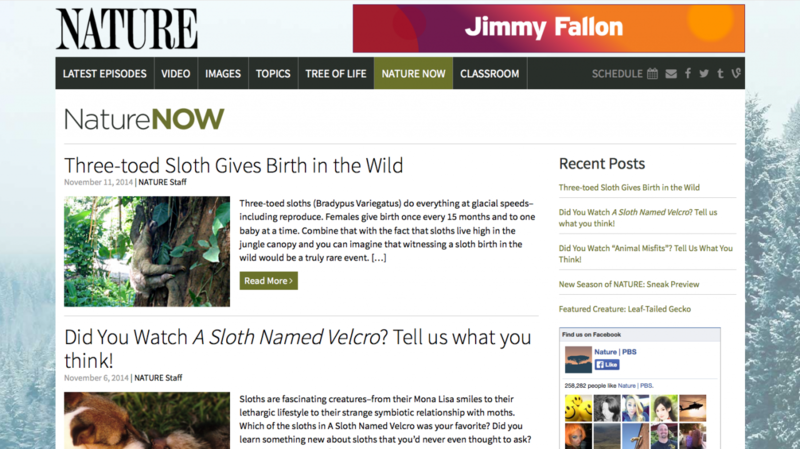 Welcome to the New and Improved NATURE! 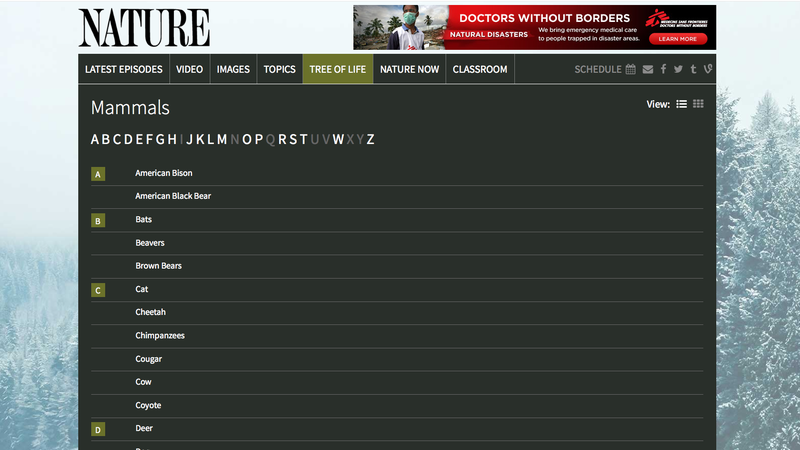 You can now view the latest NATURE episodes listed chronologically, with the most recently-aired episodes at the top of the page. Simply click the “Load More” button to find older episodes. 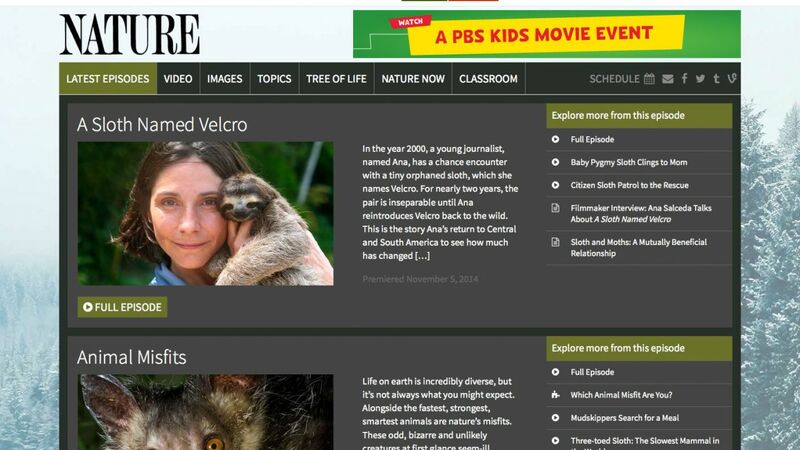 Select “Explore More from this episode” to see all related online content. 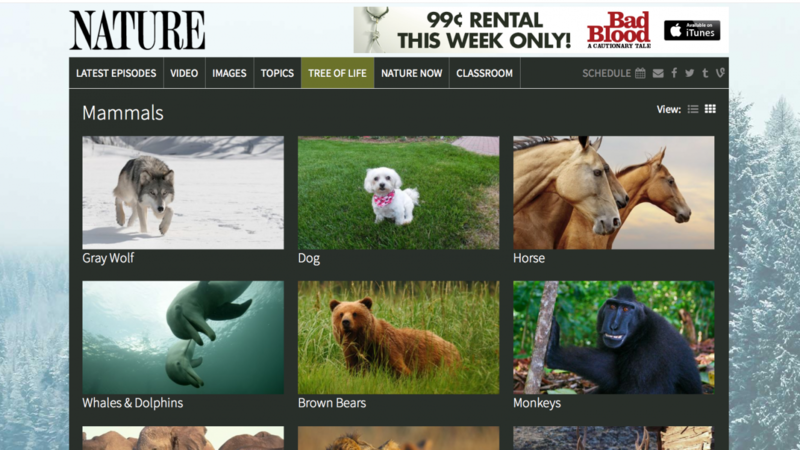 The “Topics” page features curated collections with some of the most popular content on the NATURE website. We’d love to hear about any additional topics you’d like to see. The “Tree of Life” organizes content using the standard scientific classification scheme. You can browse based on popularity or switch over to list view to find species alphabetically. Finally, be sure to check in regularly to see what’s new on the NatureNOW blog. This is a space for the latest wildlife news, updates on your favorite NATURE characters and conversation around recent episodes. 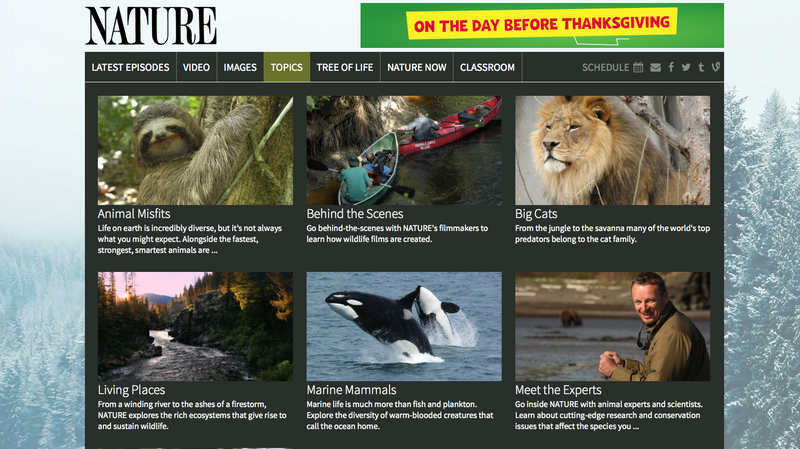 Also look for original content from NATURE’s team of online producers. Let us know what you think of the new design in the comments below. Are there any new features you’d like to see or any problems that you’ve encountered while poking around? If you’re as pleased as we are with the new site, we’d love to hear about that too! Next Post Did You Watch Invasion of the Killer Whales? Tell us what you think!